Retargeting, often referred to as remarketing, is an online marketing tool. Internet users who visited a particular website, or clicked on a particular product, are targeted with specific advertisements as they move around online. Advertisers use these reminders in an attempt to increase their website conversions. 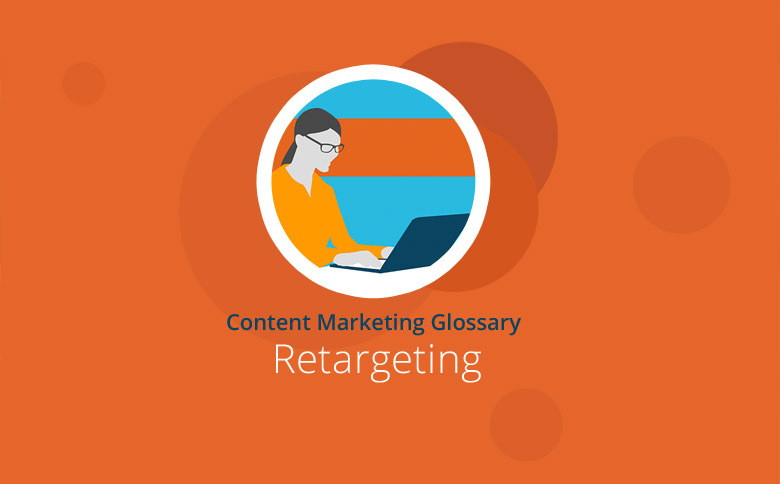 Retargeting is mainly used for e-commerce and can be activated on both fixed and mobile Internet connections. Via this form of personalized online advertising, users who have already expressed their interest in a product or company through their search habits are targeted with relevant advertising as they visit other sites – a practice that helps to avoid wasted coverage in online marketing. Retargeting is used by companies in various sectors and can be conducted on a site or at product level. It offers online marketers the advantage of display ads that can be precisely aligned with a user’s interests. Targeted advertising works better, and leads to higher conversions. Ultimately, the chance of making a purchase will tend to be higher for users who have already visited any particular site en route. Besides conversion-driven campaigns, many advertisers believe retargeting is also an effective means of raising brand awareness. As with behavioural targeting, accurate tracking of user activities is essential for setting up retargeting campaigns. Technically speaking, retargeting occurs when the ad server places retargeting cookies in a user’s browser while he or she is on the advertiser’s website. A retargeting vendor can then display retarget ads as the user visits other websites. The ads shown to users who have already visited the advertiser’s site – known as ad impressions – are usually bought through Real Time Bidding (RTB). In this type of real-time auction, the advertiser who places the highest bid for a particular user profile is the one whose ads actually get shown. There are several providers available for companies and agencies who want to use retargeting as part of their marketing efforts. Retargeting platforms such as AdRoll offer real-time bidding algorithms next to the server for placement of suitable matching advertisements. As a result, users in their target audience can be selectively reached through various devices such as PCs and cell phones as well as through social media and mobile apps. Google AdWords customers can also create their own individual retargeting campaigns, and even Facebook offers retargeting campaigns for large companies. Retargeting can also be deployed in reverse. For example, Google Adwords can store user data according to categories for remarketing purposes, and these categories can be either included, or excluded, for campaign purposes. So in campaigns aimed at attracting new customers, existing customers can be easily excluded. This saves advertisers unnecessary costs where they have already gained leads or customers, and, therefore, reduces wastage. Retargeting is controversial from the perspective of users and advocates of data protection. Users, for example, may feel attacked if they see advertising for products they have previously viewed on every possible site across the net. Data protection advocates complain that retargeting tracks a user’s activities for advertising purposes without consent, and users don’t know which of their activities are being tracked. Advertisers must handle retargeting tools very sensitively so that the process does not cause users to have a bad reaction. The use of so-called frequency capping can prevent users from being exposed to a certain online marketer’s adverts too often. In addition, users can deploy Adblocker to suppress the appearance of website advertising. According to recent studys the average usage rate for Adblocker is increasing. Retargeting involves presenting Internet users, and those on mobile devices, with targeted advertisements that match their browsing activities and thus will seem relevant to them. The aim is for a site to retrieve lost users and try to encourage them to make a transaction. Specifically targeting the advertising material to each user’s interests should help to achieve higher conversions. However, advertisers should also be careful when retargeting and ensure they limit how frequently advertisements are displayed to a particular user.